On Tap Property Services Ltd - Central Heating Engineer, Home Improvements, Plumber based in Hove, East Sussex. Invoice history based on 785 reviews. On Tap Property Services, we believe is the leading plumbing and heating and property maintenance company in Brighton and Hove with services as far as Worthing, Eastbourne and the greater Sussex area. Finding a reliable contractor in Brighton that offers general maintenance and emergency plumbing services is not an easy task, Plumbing On Tap was created with the specific objective of filling this gap in the Brighton, Hove, and Worthing plumbing and heating services market. Over 1200 Checkatrade Customer Feedback Reports! We believe in Checkatrade. Our customer focused service and excellent workmanship has earned Plumbing on Tap over 1200 Checkatrade customer feedback reports, and with an average score currently of 9.8, giving our customers confidence in our work. Our office is located in Brighton & Hove and we also manage a team of exceptionally GAS Safe qualified plumbing specialists, heating engineers, handymen, electricians and roofers all across Sussex, including Worthing and Eastbourne. On Tap Property Services covers residential plumbing and heating and property maintenance throughout Sussex, from Worthing to Eastbourne. We offer one and two-hour time slots for all appointments Monday - Friday, and we will call ahead if we are early or running later than scheduled. 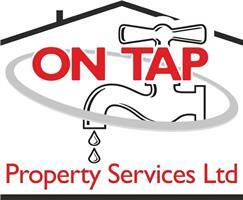 On Tap Property Services operates on the principles of honesty and continuous improvement. As a plumbing and handyman contractor we aim to provide unrivalled customer service, from the moment of their first call to the completion of their job. We can likewise guarantee that queries will be dealt with professionally and efficiently, as our trained telephone operators are knowledgeable on a wide range of plumbing, heating and maintenance services. We treat emergency plumbing repairs as real emergencies, and all other non-urgent plumbing and heating requests are typically carried out within twenty-four hours. Plumbing on Tap offers a comprehensive range of plumbing services in Brighton, Worthing and Sussex. Clients can contact us with emergency plumbing requests 24/7, and we also offer an emergency drain unblocking service in Brighton and Sussex thanks to our dedicated team. We carry out general plumbing repairs in bathrooms, kitchens, and we service taps, replace shower hoses, re-silicone bathroom or kitchen components, leaking pipes, water tanks, showers, and toilets. Plumbing on Tap works with Gas Safe certified plumbing and heating engineers that are capable of attending to all your requirements. Our full range of heating services in Brighton and Sussex includes central heating and boiler repairs, upgrades, installations, boiler maintenance, installation of magnetic filter systems, fitting of scale reducers and lime-scale inhibitors, and comprehensive gas safety inspections, as well as our award-winning power flush system. Mainly cover Brighton, Hove & now Worthing! Also cover Portslade, Southwick, Lewes, Newhaven, Seaford.